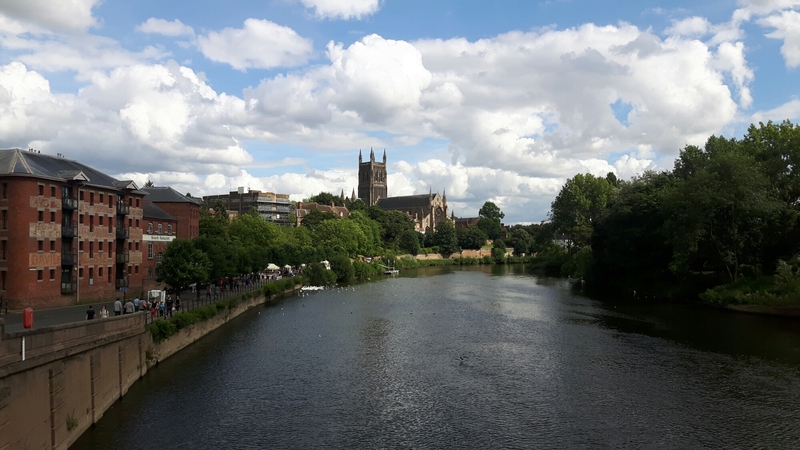 We have stayed in Worcester for a couple of nights and on our first day we had good weather! I took this photo on the bridge as I admired the wonderful cathedral in the distance. It was a lovely walk along the river, past the market stalls and along Kleve Walk until we ended up at the lock.